This trail is made possible through the generosity of the Midland School which shares some of its 2,860 acres with hikers. 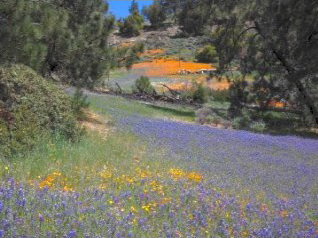 The trailhead is just past the end of the Figueroa Mountain Valley and offers a continuous, gentle hike under the canopy of mixed oak trees surrounded by grasslands and often spectacular wildflowers. A rolling trail with moderate hills, this charming walk through the woods culminates with a picnic lunch under a sycamore tree near a seasonal stream. Our guided hike includes permits, transportation to/from the trailhead, a local and professional hiking guide and a picnic lunch. Picnic lunch and transportation included $125/per person. Option for wine tasting after hike additional $15/person.